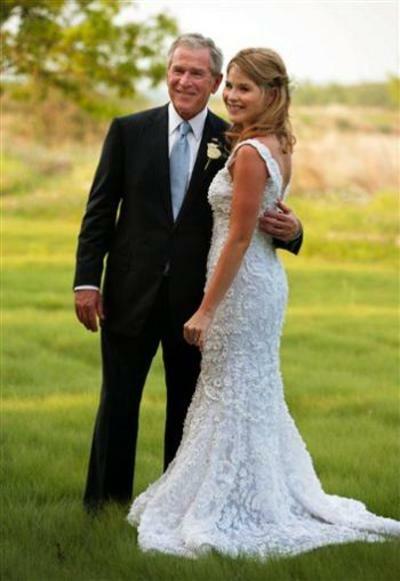 It's official: Jenna Welch Bush wed Henry Chase Hager Saturday – making her the first daughter of a sitting United States president to marry in 16 years. 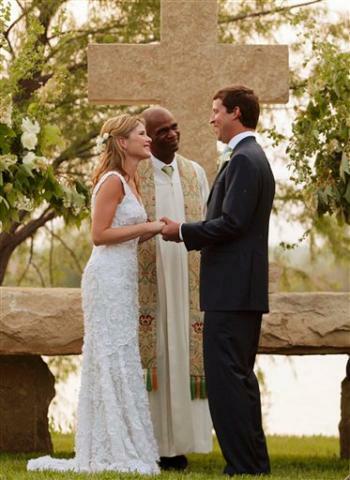 The bride wore a wedding dress designed by Oscar De La Renta. Vogue gave the advance scoop on the dress which was organza with embroidery, matte beading and a small train—and yet 'still casual.' Click here to watch video about the wedding ceremony and see more photos. The pair exchanged vows just before sundown in a lakeside ceremony threatened by a tornado watch at President Bush's secluded 1,600-acre Prairie Chapel Ranch in Crawford, Texas.